Self Assessment (SA) tax penalties: what penalties are due for outstanding tax returns? What penalties are due for late payment? Tax penalties apply for the late filing of SA tax returns and late payment of tax due under SA. There may also be penalties for failure to notify chargeability and for error, if there is a mistake in a retrun. The late filing penalty system changed for returns and payments from the 2010/11 year onwards. are all tax geared: if no tax is due or outstanding, no penalty applies. Late filing penalties can be mixture of fixed rate and tax geared penalties: it depends on your degree of lateness and tax liability. Interest is charged on both unpaid tax and unpaid penalties. * Subject to multi penalty rule para 17. Jane is due to make a balancing payment of £10,000 in income tax under Self Assessment for the 2017/18 tax year; it was payable on 31 January 2018. If the taxpayer makes a time to pay agreement with HMRC the penalty is suspended. The taxpayer will become liable to the penalty if the suspension agreement is broken. HMRC has a statutory requirement to consider whether any special circumstances exist and if so it may override the statutory penalties and reduce them as it sees fit. The taxpayer has 30 days to lodge an appeal with HMRC against a tax penalty. A late appeal may be accepted at the discretion of HMRC or the tribunal judge. The legislation relevant to each type of penalty provides for the appeal process and it is advisable first off to ensure that any penalty charged has been made correctly according to the legislation. HMRC will not challenge any late filing penalty appeal provided that there is a reasonable excuse for late filing and that an appeal has been made. Appealing a penalty can be far from straightforward as there are numerous grounds for appeal and technical arguments that can assist the taxpayer. 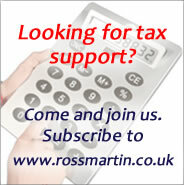 See How to appeal a tax penalty (subscriber version) or How to appeal a tax penalty (freeview). See Appealing Daily Tax Penalties. See: How to appeal a tax penalty for detailed guidance and hint and tips.